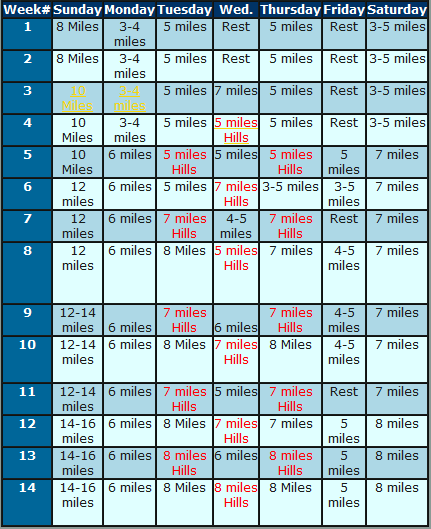 This page provides unique Base Training charts for every level of runner. 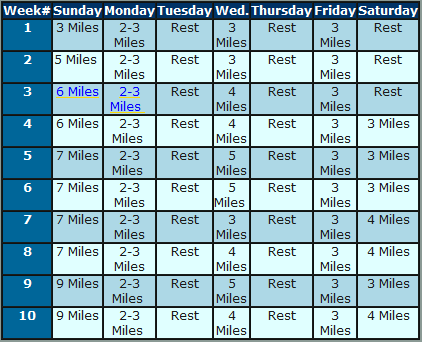 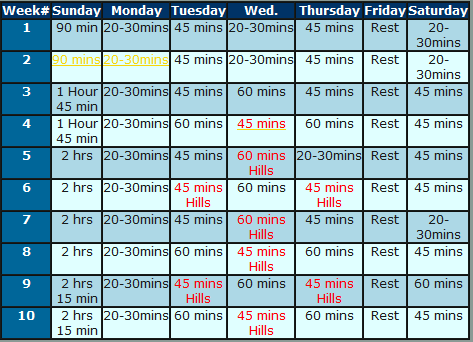 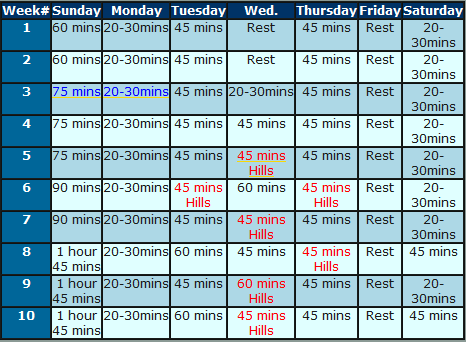 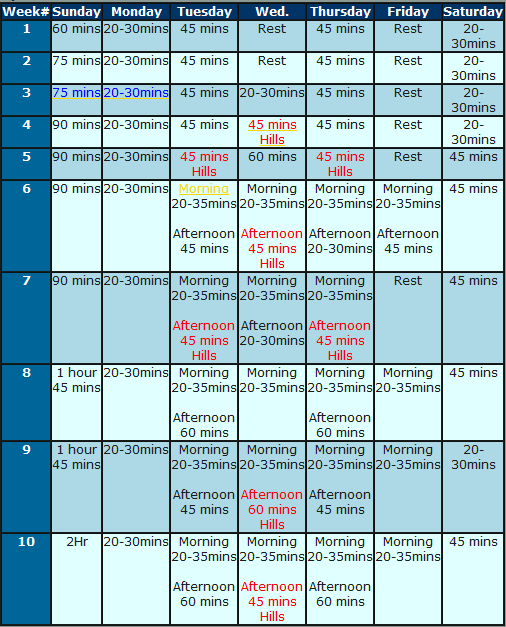 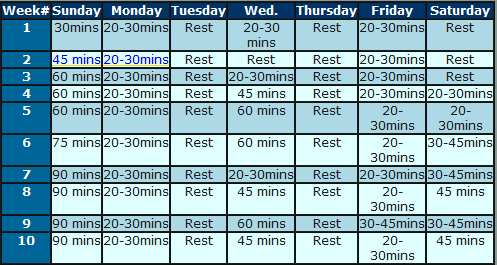 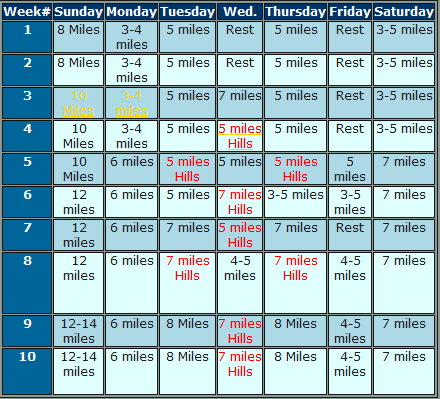 Marathon Training Schedules are based on a 5-month or 6-month programs. 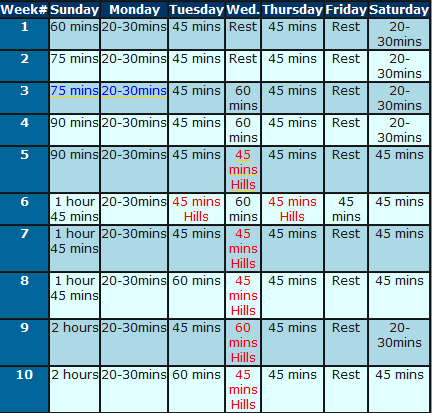 There are multiple charts to choose from, based on the different capabilities within each class. 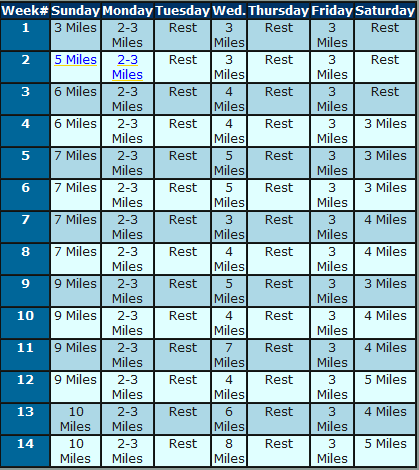 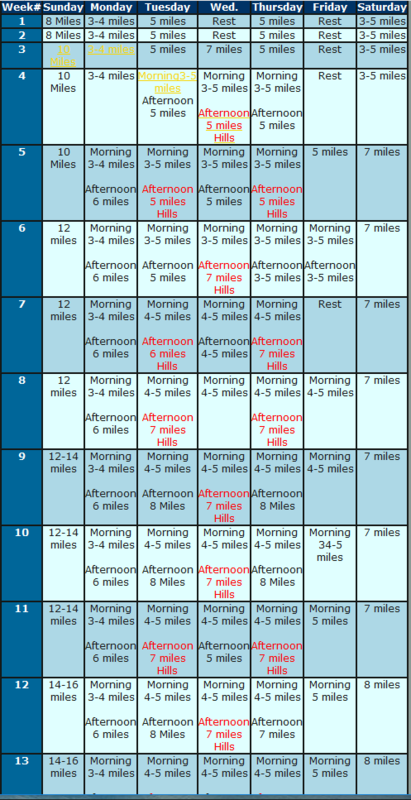 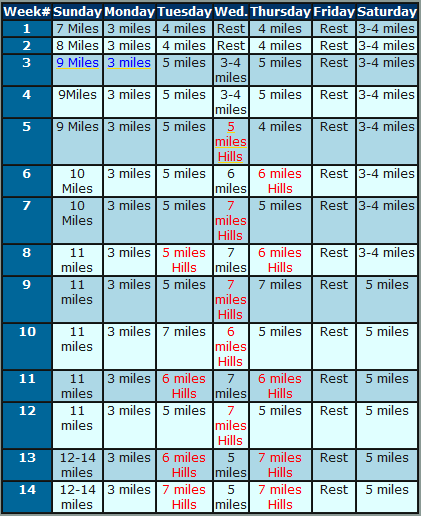 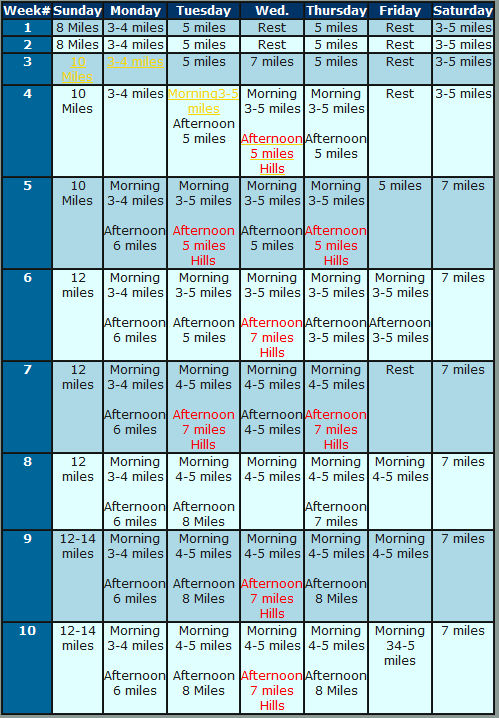 Many people prefer mileage based charts. 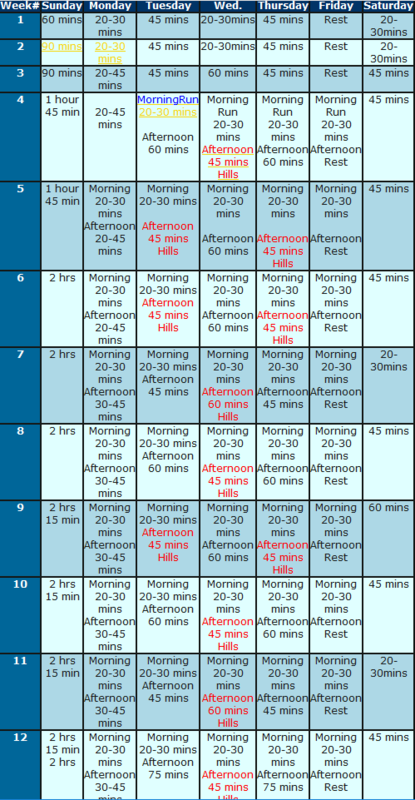 However, it is encouraged to go with time based charts instead as it eliminates the the human tendency to try to beat the previous workouts time. 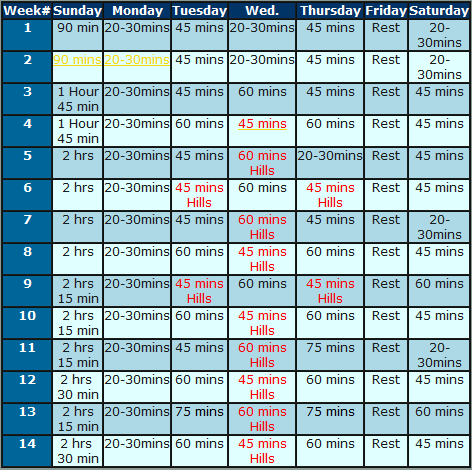 Not everyone’s schedule will fit into a neat 20-week package. 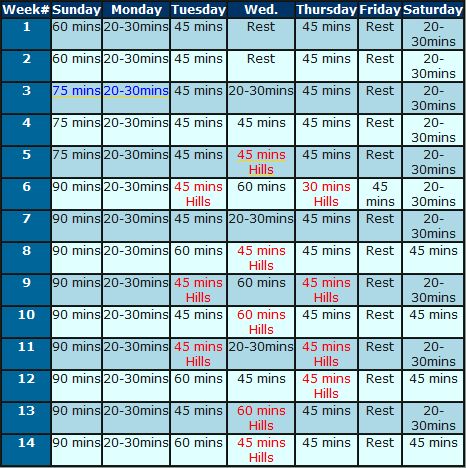 For example, if you only have 16 weeks left before the marathon, then just do base training for 10 weeks and the workout phase for 6. 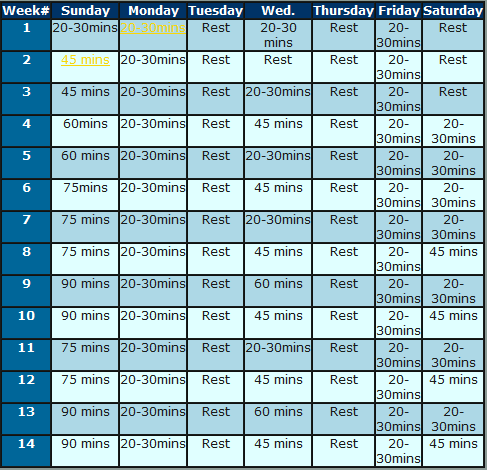 If you have more than 6 months before your marathon, simply add more weeks to the Base training schedule but keep the workout phase to 10 weeks. 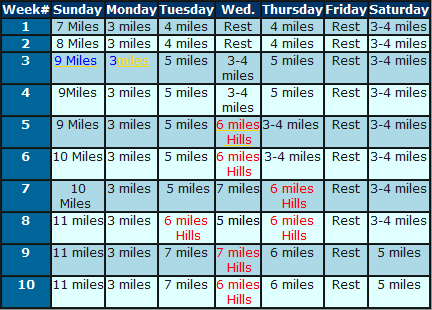 Workouts marked in red are hard. 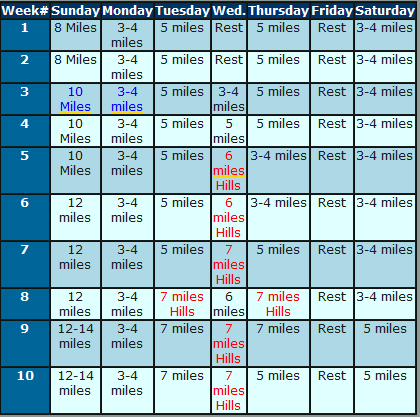 We also encourage runners to add 5 or 10k race in every few weeks to mix things up. 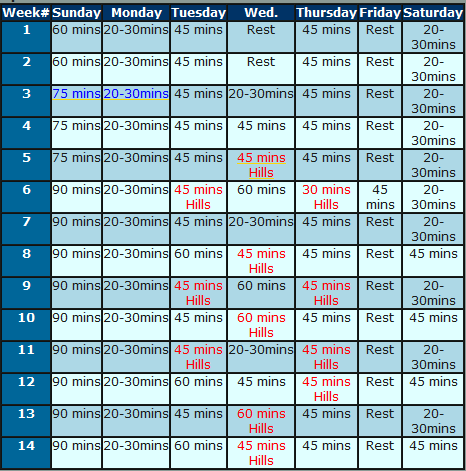 If this isn’t your cup of tea then add a timed 12 minute run every other week. 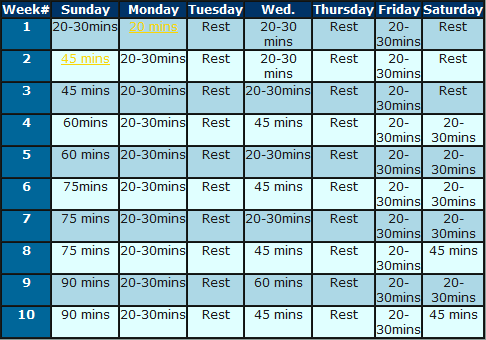 It is very important to remember, in the base training phase, Most runs are at an easy pace! 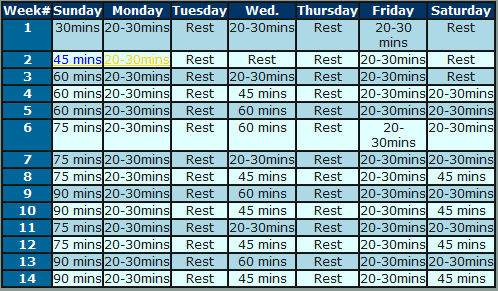 Remember the 80/20 rule. 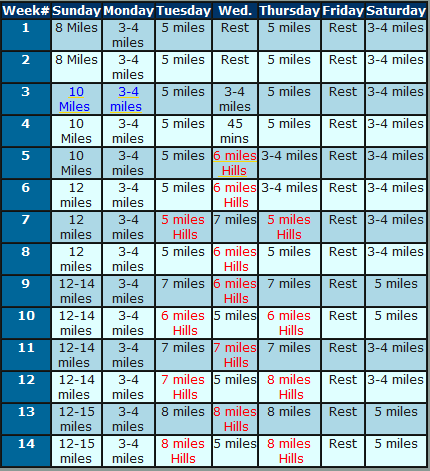 Only 20 Percent of the runs should ever stray into the hard range.